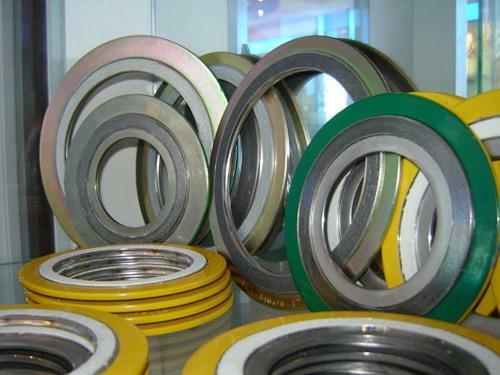 Spiral Wound Gasket is formed of V-shaped metallic stripe and soft non-metallic filler by means of piled, spiral wound and connected its end and beginning by dot welded. Depend on its excellent compression resilience it is suitable for sealing spots where the alteration of temperature and pressure are frequent. It can be used as the static sealing element of pipe, valve, pump, thermal exchange, condensing tower, plain hole and man hole of flange, etc. It has been widely applied in the fields of petrochemical, mechanical manufactory, power station, metallurgy, shipbuilding, medical and pharmaceutical nuclear power station and navigation, etc.